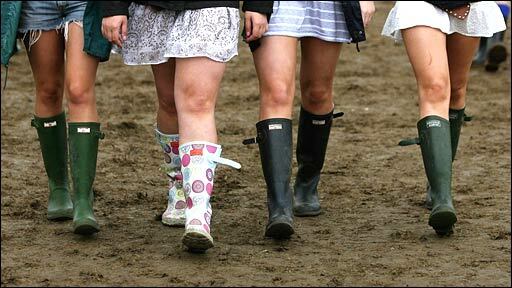 Music festival fans are refusing to allow the prospects of rain and mud to dampen their spirits. They are braving the wet August weather ahead of the last Bank Holiday of the year in England, Wales and Northern Ireland. Chris Buckler reports from Leeds.